Zach Henigin started doing hair as a child and turned his passion for hair into a career. He graduated from Morgantown Beauty College in 2011 and then began working here at Nico Spalon. 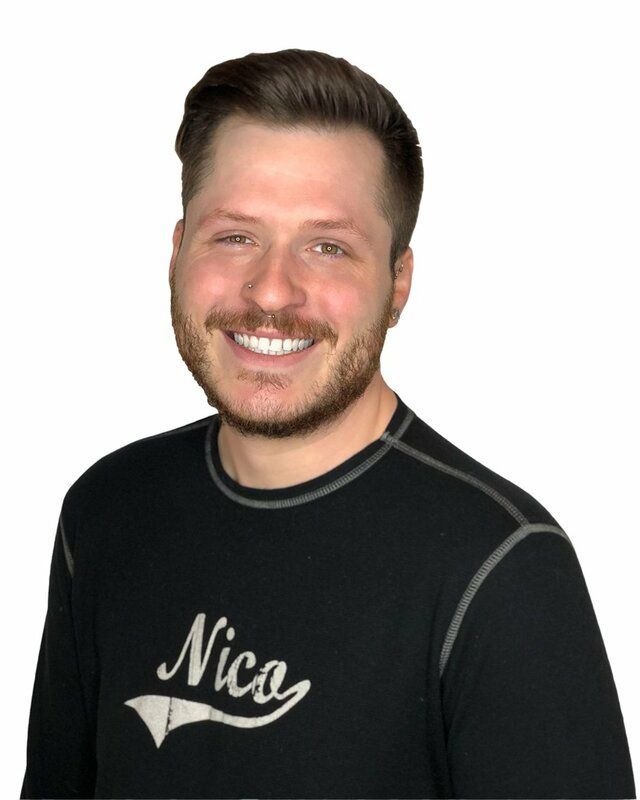 After spending 4 years here at Nico training under our senior stylist and growing as an artist he moved out of state to continue his education. In 2017 he moved back to the area and we were thrilled to have him come back and join us. Zach’s ability to execute any hair transformation stems from his skilled technique and creativity as a designer. From color corrections to vibrant fashion shades and everything in between he knows how to create a personalized look for his clients. He also has an eye for sculpting the perfect up-do and giving volume and body to every finish style. Zach makes it his priority to make sure you leave with a smile and incredible hair.